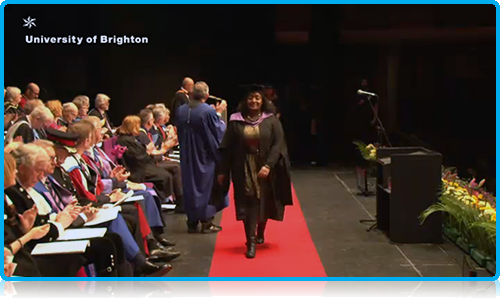 WUP 16/2/2015 As Wittenborg University Master students pick up their prestigious MSc degrees at the Dome in Brighton, it is announced that International students can now apply for Holland Scholarships! Wittenborg University, part of programme has launched a special webpage for applications. Registration for the new scholarship programme offered by the Dutch government for international and Dutch students, opened today. Wittenborg is one of the 48 universities of applied science and research universities participating in the Holland Scholarship programme announced last year. Every year 768 talented international students will receive the opportunity to do a Bachelor or Master degree in the Netherlands. Each will receive a financial contribution of €5 000 from the government towards their studies. The aim of the Holland Scholarship is to raise the profile of Dutch higher education and to encourage student mobility both into and out of the Netherlands. · There is no deadline for application – you can apply all year! · All Bachelor and Master programmes are internationally recognised and accredited by European standards! · Wittenborg is international - 20% Dutch and 80% International students from over 60 nationalities! · Double degree - from Wittenborg University of Applied Science and the University of Brighton, UK. · Wittenborg offers six entrée dates per year, which means six opportunities to start and to graduate. 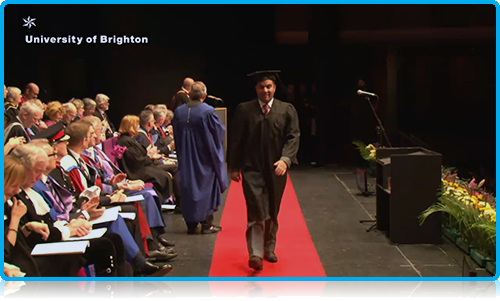 · Excellent student-centred experience, personal, customer-driven approach to Higher Education! · Wittenborg’s location Apeldoorn, the 12th biggest town in the Netherlands, provides a safe environment and is just an hour from Amsterdam. · IELTS 7.0 or TOEFL Equivalent. Click here for an overview of the equivalent scores. · There is no application deadline – you can apply all year! · You are a new student applying to Wittenborg University. If you are interested in applying for the Holland Scholarship or Wittenborg University's MBA scholarship, click here. As part of the Holland Scholarship a total of 768 Dutch students will also receive a once-off scholarship of €1 250 to study, take up an internship or carry out research in a country outside the European Economic Area (EEA) for a minimum of 3 months. The programme has been made possible by the Dutch Ministry of Education, Culture and Science, the VSNU (the Association of Universities in the Netherlands), the Netherlands Association of Universities of Applied Sciences and EP-Nuffic. The drivers for the programme were the Joint International Vision document (drawn up by VSNU and the Netherlands Association of Universities of Applied Sciences) and the Internationalisation Vision Memorandum of the minister of education (June 2014). Forty-eight Dutch research universities and universities of applied sciences are taking part in the programme. They will also cover half of the costs involved. To gain more information on the Holland Scholarship for international students, click here.